Jump behind the wheel of the 2017 Ford Focus and you will find a car that is fun to drive and loaded with value! No matter where you go, the Focus will get you there with both comfort and efficiency. 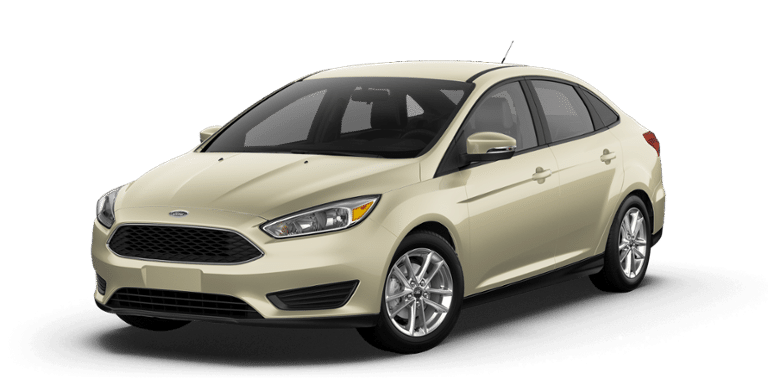 Click here to see Kokanee Ford’s full inventory of Focus models. The 2017 Ford Focus SE Sedan comes with a standard 1.0L EcoBoost engine with a six-speed manual transmission that delivers 123 horsepower. Drivers looking for exhilarating performance will find it in Focus ST with its turbocharged direct-injection 2.0L EcoBoost and six-speed manual transmission. With real-car driving dynamics, Focus Electric can reach speeds up to 135 km/h in electric mode. Finally, the exhilarating Focus RS has a powerful 2.3L EcoBoost and provides best-in-class 350 horsepower and 350 lb. ft. torque. It’s also the fastest production Focus currently available in the world! To help you see all that’s behind you, the Ford Focus has a standard rear view camera providing added confidence when backing up. SYNC3, Intelligent Access with Push-Button Start, and Smart Charging USB Hubs are just a few of the additional features which you can get on the 2017 Ford Focus. This allows you to bring your technology along, wherever you plan to go! The 2017 Ford Focus attracts a lot of attention and appears in motion even when it’s standing still. The Focus ST includes a centre-exhaust with dual bright tips, 18-inch Rado Grey- painted aluminum wheels, a Piano Black grille, ST badging and other unique ST features. The fun-to-drive Focus Electric comes with a unique grille, 17-inch sparkle silver-painted aluminum wheels, illuminated charge port, quad-beam HID headlights with LED signature lighting and auto lamp. And the Focus RS model offers more than a sleek, aerodynamic design and stylish Interior – it’s the fastest production Focus currently available in the world. 2017 Ford Focus gas and electric models have features that do more than just make technology convenient – they can change the way you interact with your vehicle. The available SYNC 3, now with Apple CarPlay and Android Auto, offers high-speed performance, enhanced voice recognition, a capacitive touchscreen with swipe capability, available navigation with easy destination entry and pinch-to-zoom functionality, Siri seamless integration and automatic updates over Wi-Fi. Just say the word and SYNC 3 delivers next-level connectivity. Also, available Intelligent Access with push-button start lets you get in and start your car without taking the key out of your pocket. With both sedan and hatchback models, the Ford Focus does it all, without breaking the bank. Kokanee Ford is ready to help you find the perfect Focus model.